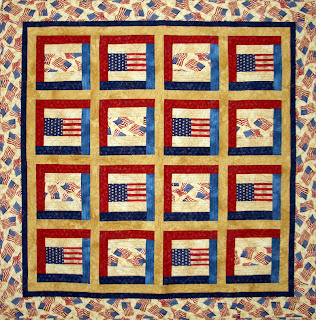 In honor of Memorial Day and all those who have lost their lives to defend our Country and our Freedoms, I thought I would share a few of the Patriotic Quilts that I have made over the years. 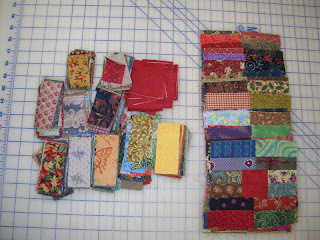 This week I am working on the scrappy blocks below. 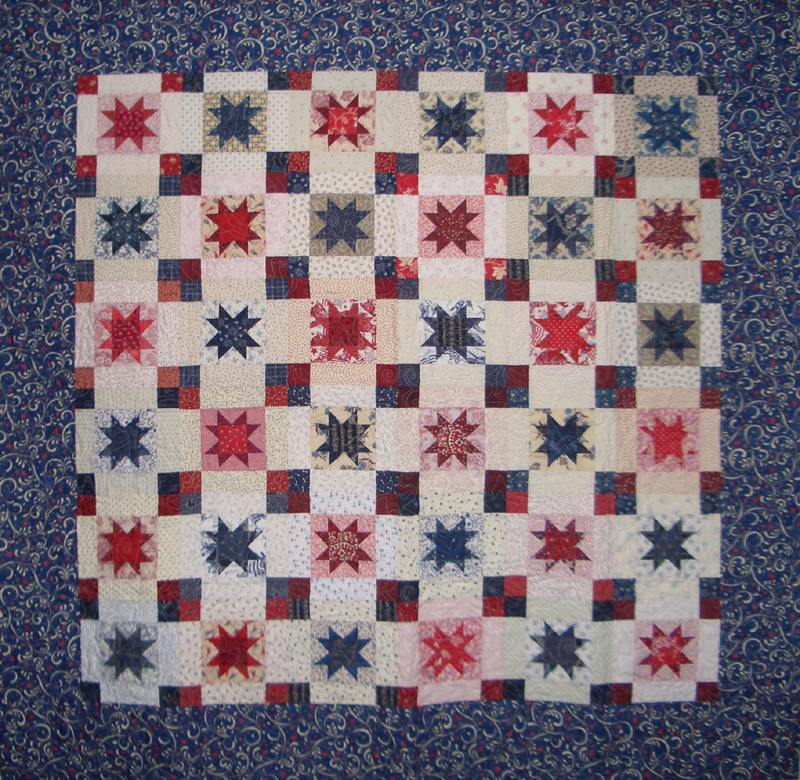 I started them on vacation and have finished 45. I only have 68 more to go. What is on your Design Wall this week?? 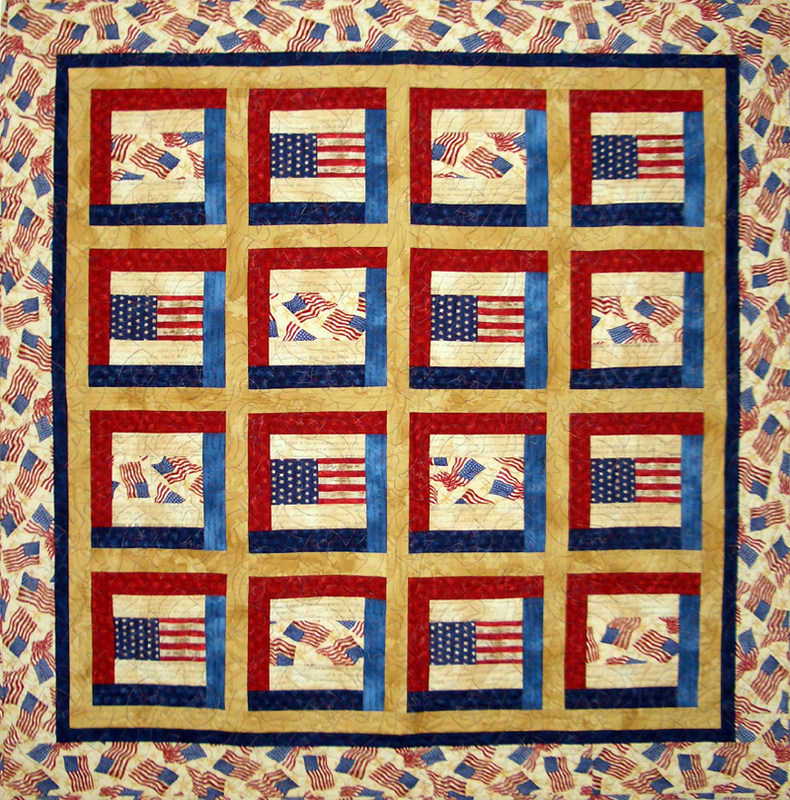 Wonderful patriotic quilts. 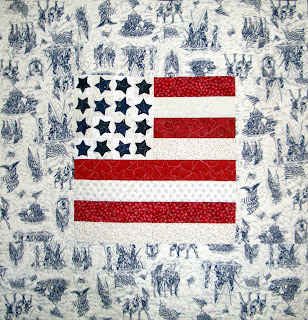 I have only made one patriotic quilt top, which I donated to someone making quilts for soldiers. 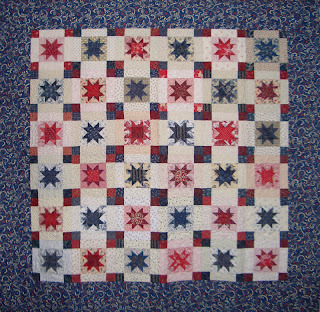 I have been collecting patriotic fabrics again and I need to get another one made. Yours inspire me. Thanks for sharing them. 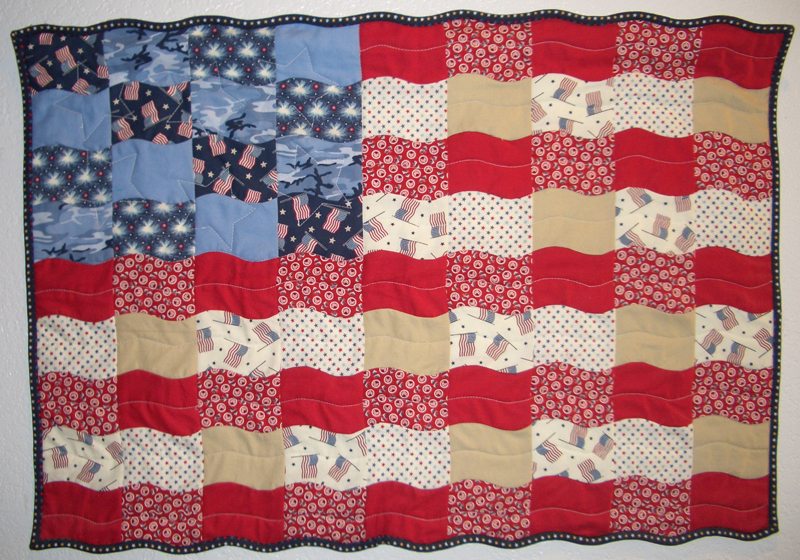 What a wonderful red, white and blue tribute. I love scrappy quilts and this one looks like it's going to be great! Can't wait to see it. 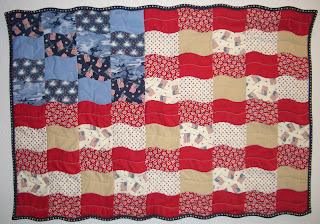 I enjoyed seeing your patriotic quilts. 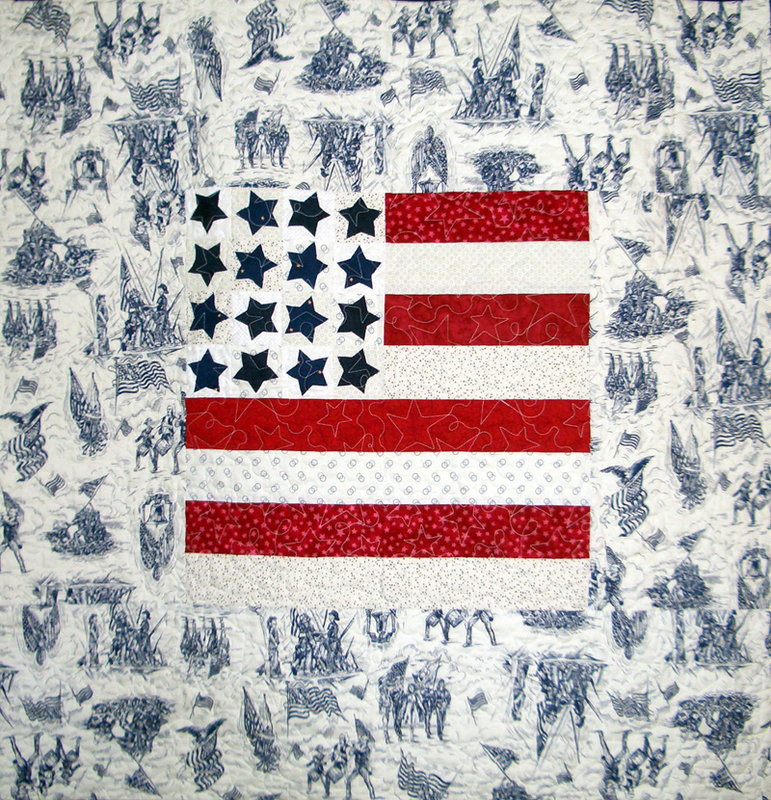 Especially the first one with the toile look fabric surrounding the flag. Good use of fabric.